Packing up all of my dolls! Moving Day is fast approaching! My husband took this photo to document the struggle. 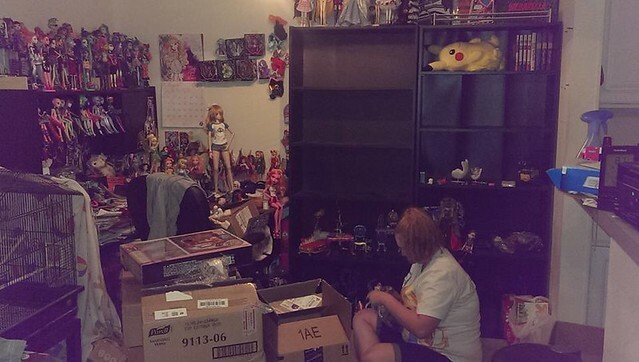 I packed up almost all of my dolls today in anticipation of our move to our new house next weekend. I kept a pretty good record of which dolls went into which boxes; I’m terrified of losing some of them. The only ones not packed right now are my Pullips and my Smart Doll. Previous PostTokidoki Barbie 2015!Next PostNew house!